All things Disney. Theme parks, movies, Pixar, Star Wars, Marvel, video games. You name it, we got it! This week we light our mouths on fire! While Josh makes fun of us. Really, Josh made hot sauce and we sample it. Then we move on to an all-news episode, because there was so much news this week! From Lion King trailers, to Disney+, to Star Wars Celebration, we cover it all! And Jake speaks his mind on the perception of fandoms. Anyway, tune in! You'll really like this one! Especially when it's over! This week, Jake and Josh are very ranty because of some horrible technical difficulties that happened before the show! And then we go through some news and do some click bait, and Jake answers some listener questions while Josh takes his dog pee. Anyway, we still have fun and you should definitely listen. Also, at the end we say we're doing a Disaster Hour on the next episode and we have since changed our minds. Maybe two weeks, maybe three. It'll happen though!! Okay tune in, and tell a friend. Episode 272 - Don’t Look Out My Window! This week, Jake is proud (and also nervous) to announce Mutineer Disaster Studios! But it was a haphazard announcement and there will be more to come. And then Jake and Jordan finally talk about Captain Marvel! Then Shana shows up and we go into discussion over the recent bans at the park, but we don't feel like Disney went far enough, so for our main topic, we ban even more stuff! And you can't stop us!! Anyway, tune in and listen. On this episode, we play the Rotten Tomatoes Game for Dumbo, go very in depth about the Disney-Fox acquisition, and then we find an article on the internet that ranks every single ride at Walt Disney World! And it is very upsetting. Tune in! This week we have a super fun episode for you! We each bring a Top 5 List of some of our favorite Top 5 lists! Are you ready for lists??? BECAUSE YOU ARE GETTING LISTS! And laughs! Lists and laughs and you really need to listen to this episode! Also, here is the GIF we talked about extensively at one point. Episode 270 - Have You Ever Milked A Bantha? 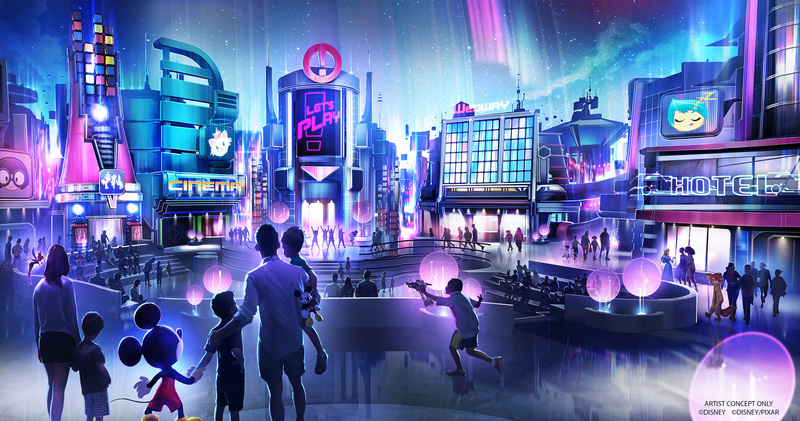 This week we talk about Captain Marvel and how awesome it was, we go over every single detail of the recent Galaxy's Edge news, and then we pull off a Disney podcast first: we re-Imagineer Galaxy's Edge! It's not even open yet and we are making changes!! So tune in!!! This week we have a wildly impromptu Disaster Hour, our non-Disney show. Jake and Shana start things out wondering what the hell is going on, we talk, we laugh, and then Jordan shows up and we play the Rotten Tomatoes Game for Captain Marvel and then we make Jordan watch the 2nd trailer for Detective Pikachu, and round out the episode answering Reddit questions! It's a real fun episode that we weren't planning on and you should definitely listen! NOW!! This week we discuss all about Epcot's news that came out! And if you need visual aids to follow along with this week, HERE IS THE NEW ENTRANCE and also HERE IS THE NEW PLAY PAVILION! So now you have no excuse to not follow along. And then we go through a Disney Click Bait article to see if we are actually devoted Disney park fans! Tune in and see if you are too! This week! (Sorry for the delay, technical issues) Jordan plugs his new podcast, we talk about the Frozen 2 trailer (kinda seems like old news now at this point, yeah?) and something about Tower of Terror and OH! Guess what! Flower and Garden menus! We peruse through those. And then we do Favorite Quotes, although we're still not sure if we meant movies or rides. But that's the kind of quality broadcasting you can expect right here at Mickey Mutineers, Inc! This week it is snowing outside and I live in the desert and it's freaking me out! Here, listen to this episode. We go through the news, and then most importantly, we help Josh come up with criteria to rank Epcot's bathrooms. But we need your help, random citizen! If you thought of some bathroom criteria that we didn't, tweet it to us @mickeymutineers!And then we talk about our favorite AND least favorite queues. Also we argue over how to say "queue." Tune in!